I think most moms can remember the first time they thought 'oh no, I've turned into my mother!' It might not be a fond memory, as most of us also vowed to never turn into our mothers. Fortunately, I look back at that moment as the moment I realized that turning into my mother wasn't such a bad thing. My mother has taught me how to give to my children, how to care for them, how to love them…as many many more priceless secrets about being a great mom. She taught me how to live in the moment, enjoy each of my kids for who they are, and how to enjoy being a mom. I know I’m incredibly lucky to have such a wonderful mother, and now my kids are lucky to have her as an incredible grandmother. Truth be told, there isn’t much that I think my childhood was missing out on, but this reminded me that there are so many things that made my childhood amazing that I would love for my kids to have. When I was a child, my mother ran a home day care and she always had us doing fun activities. The best activity of all though was her scavenger hunts. I’ll never forget those magical scavenger hunts. So, today I encourage you to find something from your childhood that you just wouldn’t have missed for the world, and do that with your children. The one activity, tradition, special time that you will never forget and continue the memory. Children grow up so fast. Take a moment to slow down motherhood and just enjoy it. Celebrating the differences of Motherhood is brought to you by our host, Inspired by Family, and by the following contributing blogs: Kids Activities Blog, Rainbows within Reach, Powerful Mothering, Fun-a-Day, The Pleasantest Thing, Royal Baloo, Laly Mom, True Aim, Kids Stuff World, Milk and Cuddles, The Imagination Laboratory, Smiling like Sunshine, Teach Beside Me, JDaniel 4’s Mom, Kitchen Counter Chronicle, My Nearest and Dearest, Nate and Rachel, Two-Daloo, Mamas Like Me, Mama Miss, One Mommy. 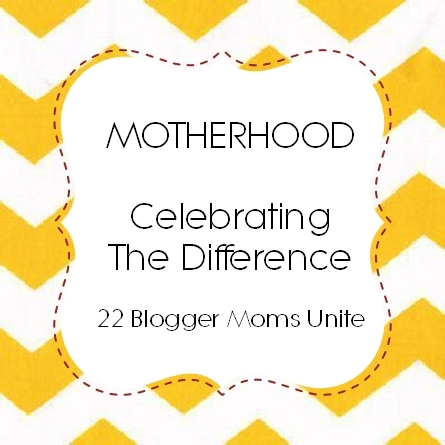 If you are a blogger and you have a story or something to share on how you celebrated motherhood, feel free to add a link to your post so we can read your story as well. Note: by sharing you give us permission to feature you (attributing of course). It sounds like you were blessed with a wonderful mother!